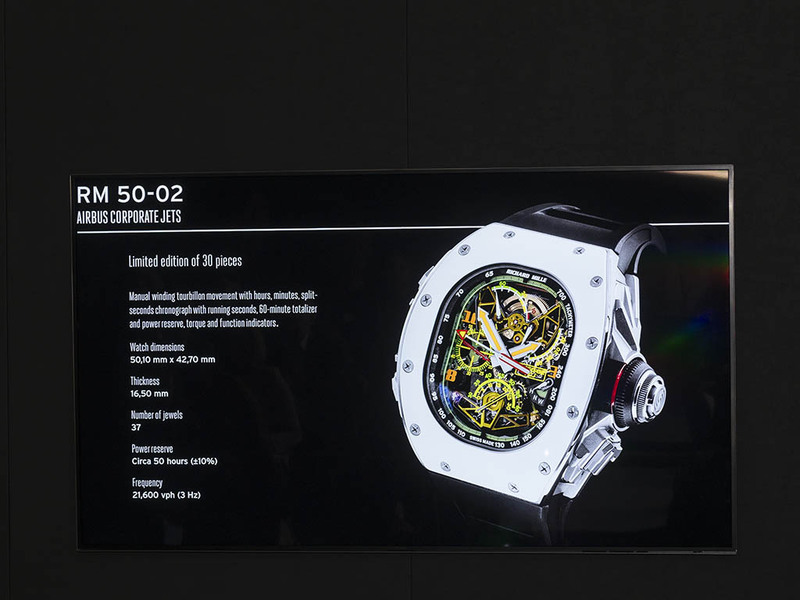 Richard Mille launched its latest model RM 50-02 ACJ Tourbillon which is developed with Airbus Corporate Jets ( ACT ). 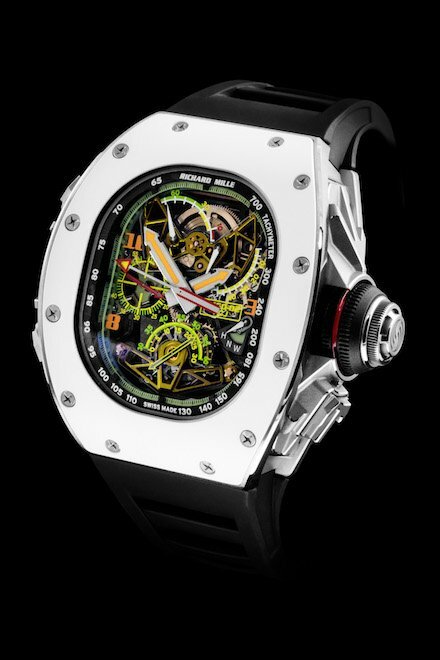 This special timepiece will be sold in RM boutiques only. 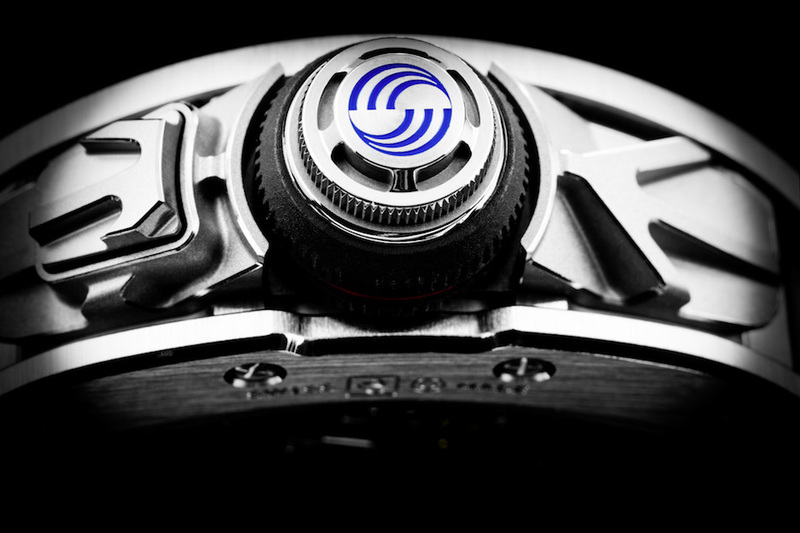 The case of the watch is crafted in a special allow of Titanium and Aluminum. The material, which is lighter than the former versions of Titanium alloys, is also used in the turbine panels of the Airbus aircrafts. 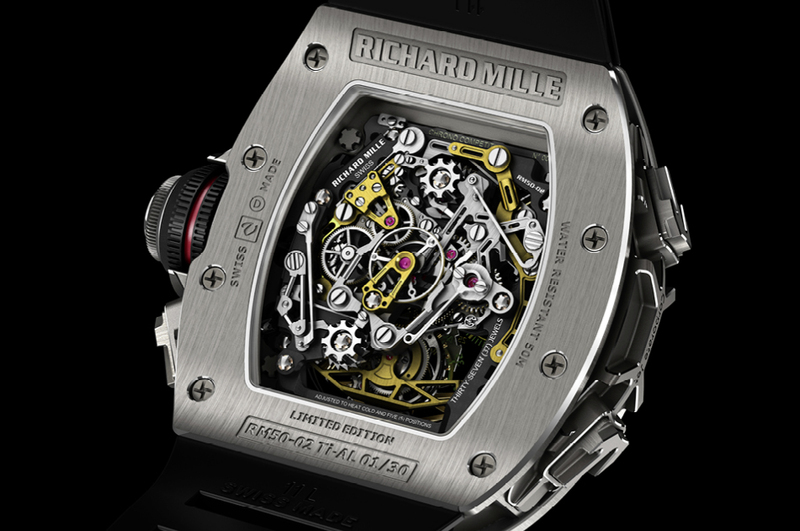 Designed to work under extreme conditions, this special alloy is a perfect material for an exotic brand like Richard Mille. 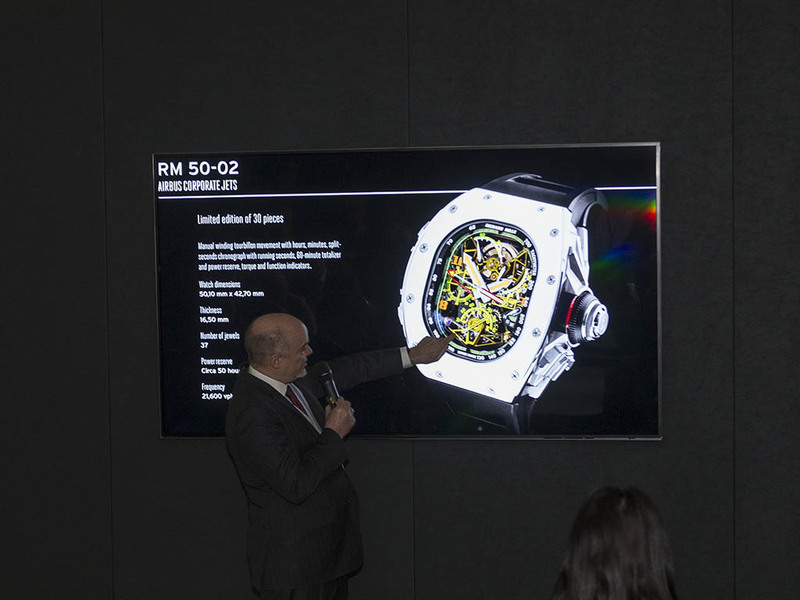 The front face of the watch, inspired from an aircraft window, is designed differently when compared to well known Richard Mille models. The 1400 vickers hard and white ceramic bezel features the patented Torq Set screws which are commonly used in aviational purposes. Aluminum surfaces are ceramic treated under high temperature and pressure in order to get utmost resistance for durability and color fading proof. Both sides sport sapphire crystals in 1800 vickers hard. 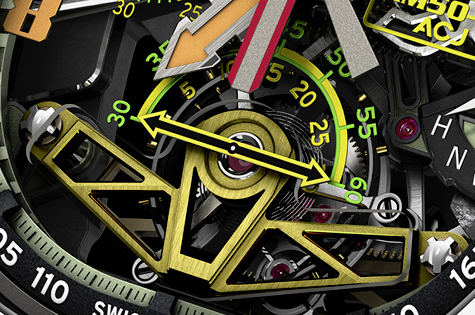 As expected from a timepiece that extraordinary, the movement itself is also a work of art. 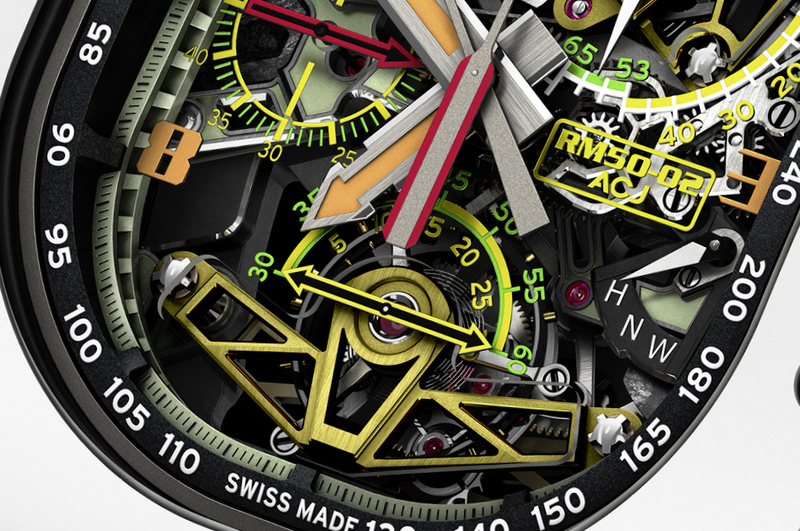 The controls of the watch, which resembles the gear know of an automobile, operate winding, setting and free spin functions depending on the position of the crown. This system also allows the user to be notified of the functions. The exclusively designed split second tourbillon movement beats at 21600vph and features 37 jewels. 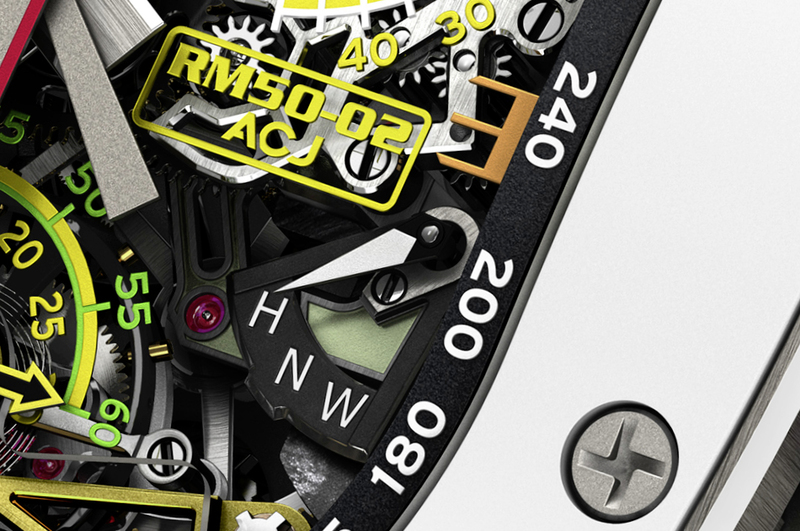 The power reserve, which is 70h at full wound position, can be monitored through the indicator located at 11 o'clock. The chronograph function consumes 50% less than the previous models providing longer working time and better precision thanks to the stable torque requirement of the mechanism.